← NEED TO KNOW THE TIME? 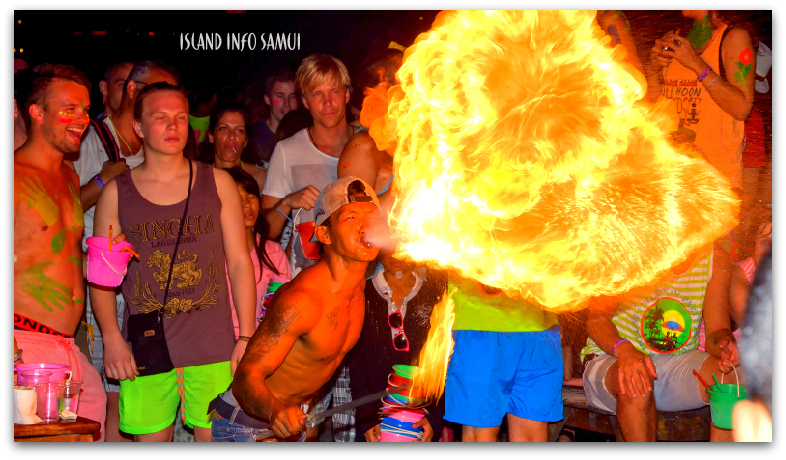 Thank you, please contact us if you ever need info about the Full Moon Party. I am planning to visit phangan in november on full moon party. I heard it is the wettest month. Does the crowd number drops in november? What if ot rains all day on full moon party date? Hi Hamza, the party goes on regardless, however, if the weather is really bad, transport to and from Koh Phangan can be delayed or stopped. Yes, November is both the most likely month for rain in Samui and Phangan. It is also the quietest Full Moon Party of the year. In perspective, the quietest Full Moon Party may be the biggest party you have ever seen. How much does a speedboat cost from koh samui to koh panghan and back? Melanie, the express return transport costs 1,000 baht. An additional 100 baht is paid at the #fullmoonparty entrance.